Last year the small shed structure in the Japan pavilion, long home to a smattering of merchandise, was refurbished and reopened as a new drink stand. While it has become known as the Sake Bar, or more appropriately the Sake Shack, it actually serves up a number of adult and family friendly beverages. However, when we stopped by we couldn’t help but sample one of their Sake Cocktails. 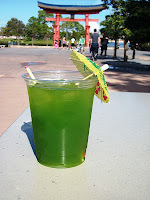 The sake cocktails come complete with an umbrella garnish and are available in seven flavors: lime, orange, green apple, grenadine, banana, pineapple, and green tea. Several of these flavors are right in my wheelhouse, but I opted for something a bit more Asian and went with the Green Tea version. There isn’t any masking of the sake here, it is evident that this is an alcoholic beverage, but the sake doesn’t over power the drink. This is surprising because green tea isn’t always the strongest of flavors, such as the lime or green apple could have been. As for the green tea and sake concoction, the drink ends up with a taste that is closer to watermelon rind than tea. That isn’t to say it doesn’t taste good, it was refreshing and bitter, in a good way! There are a few standing tables nearby or the trails of Japan’s gardens if you wish to sip on your sake cocktail and soak in the ambiance of the pavilion. 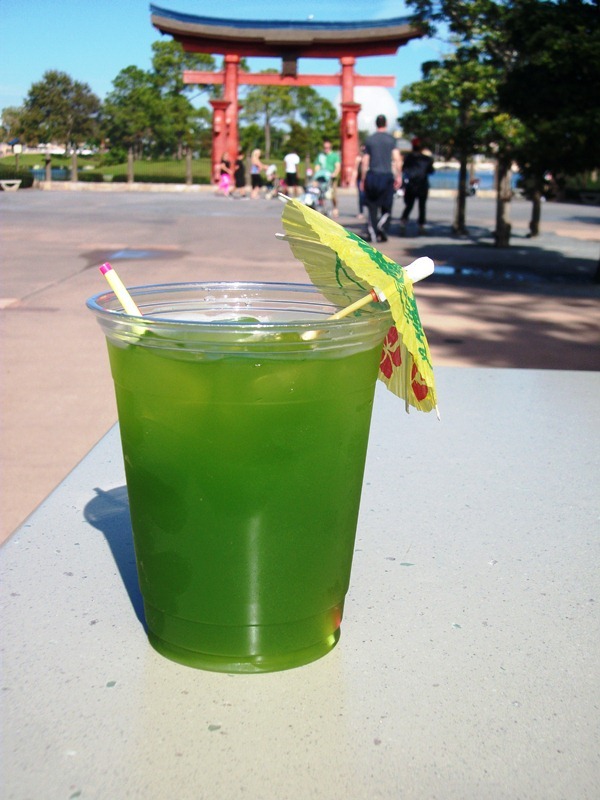 Otherwise, the cocktails are a great way to beat the heat as you make your way around the promenade of World Showcase.